President Serzh Sargsyan has again rejected his top challenger Raffi Hovannisian’s proposal to meet in Liberty Square for talks that would lead to alleviation of post-election tensions in Armenia. 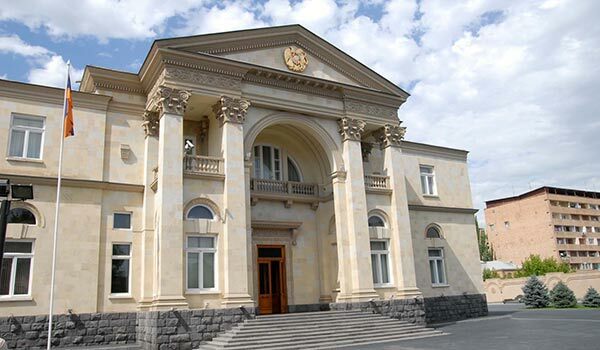 “The meetings of the president are organized by a protocol planned in advance, at hours fixed in advance and take place at the presidential palace,” stressed Arzumanyan. In his earlier statement Hovannisian insisted that he would meet Sargsyan only in Liberty Square or a nearby café. He stressed that he would end his hunger strike at the moment of his choosing, at the same time insisting that it wasn’t an obstacle to talks on a “complex solution” to end the current standoff.